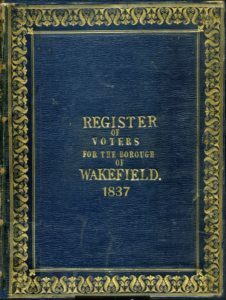 The records cover 35 different registers of people who were entitled to vote in Wakefield, West Yorkshire and other constituencies situated in Hampshire, Gloucestershire, Somerset and New Westminster in Canada. These have been added to our Poll and Electoral Roll collection covering millions of records. At the same time TheGenealogist continues to expand its vast Parish Record collections with the addition of 100,000 new individuals added for the County of Worcestershire and additionally the Registers of the Parish Church of Rochdale in Lancashire that covers the period between 1642 and 1700. Also being released at this time are some records that will take the researcher all the way back to ancient times! 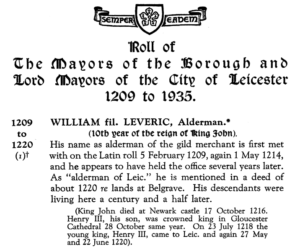 The Roll of Mayors of the Borough and Lord Mayors of the City of Leicester records the names of men holding that office from between the 10th year of the reign of King John in 1209 and all through history to 1935. With exhibitors from all over the UK and Ireland, this is probably the largest event of its kind in England. Many family history societies and companies attend each year. There is lots of local history from the York area too. You don't have to have Yorkshire Ancestors to come to this fair - they can be from anywhere at all! Everyone is very welcome and there is lots to see. There is plenty of parking and refreshments are available all day. There are several lifts to take you to the upper levels, and the whole place is wheelchair friendly. There will be FREE talks from a number of experts, to discover more see the talks page on their website: http://yorkshirefamilyhistoryfair.com/free-talks.php The Yorkshire Family History Fair is run by Discover Your Ancestors Magazine and sponsored by TheGenealogist Do you really know who you are? Come and find out - you may be surprised! TheGenealogist has just announced three important releases to coincide with the Who Do You Think You Are? Live show covering Britain and British India. Over 2.5 Million people in the latest release of Parish records! These will be a boon to Family Historians looking for key events in the lives of their ancestors. The TV series ‘Indian Summers’ starring Julie Walters created in many a fascination with India under British rule. This new record set reveals information about those ancestors that lived in the subcontinent, their lifestyle and the communities that they lived in. The release of The British in India Collection on TheGenealogist now allows family historians to search for ancestors who went out to British India in a very broad-ranging set of resources ranging from the early 1800s up to the 1920s.